It’s how Hairfinity loves you back! 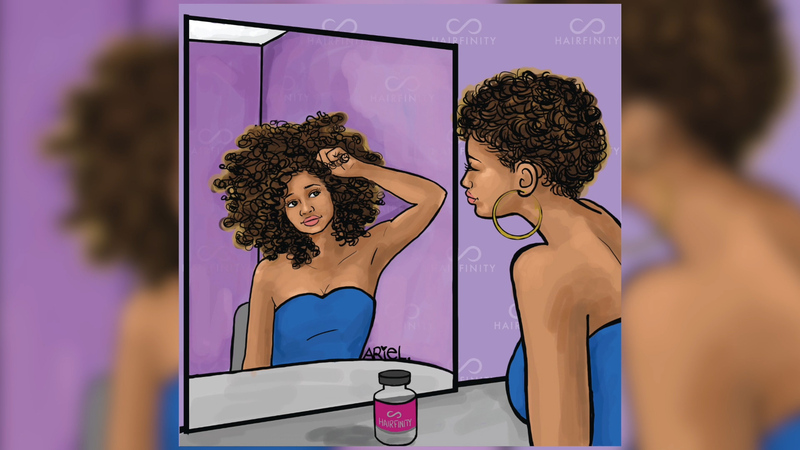 Earn points for buying Hairfinity products you love, and redeem your points for FREE PRODUCTS! When you register for an account on our site, you automatically earn points on the products you buy from all Brock Beauty websites (hairfinity.com, dermera.com, infinitelash.com). The Hairfinity Rewards Program is part of Brock Beauty’s Loyalty and Gifting program. By registering on one of our sites, you earn your way to free products. You earn 1 point for every $1 you spend (not including shipping). You can use your points to redeem free products on all Brock Beauty websites (hairfinity.com, dermera.com, infinitelash.com). We can only track points on registered accounts. How do I redeem my points to get free products? Login to your account and add the products you want to your cart. In the Order Summary, enter the number of points you want to apply to your order and click “Apply Points.” If you don’t have enough points to redeem a product, it will take the cash value off of your purchase price.